Question - I was enjoying your article on the Violet Flame until I came one paragraph which brought my reading to a screeching halt: "Visualization is essential to successful invocation of the Violet Flame. You cannot create what you cannot visualize, just as an artist cannot paint a picture he cannot see." What are the implications of this for people whose mind's eye is blind? I've never had any sense of having a mind's eye - it is always dark inside my head, there has never been a color or a picture - closing my eyes is like being in a pitch-black room. The faculty for memories and imagination are entirely absent. Are you saying that I cannot use the Violet Flame because I have no visualization? If that is not the case, can you tell me another way to invoke the Violet Flame? I find it hard to believe that as a human being with this particular cognitive handicap, I am somehow excluded from the gifts of the Violet Flame. Answer - Every time you think a thought, you create thought-forms - which are visualizations. Even if you are not conscious of those thought-forms, nevertheless you are creating them. This artcle by Edna Ballard may help: Thought Forms. Question - Are there any indications that Guy or Edna Ballard received any promptings that there might be a need for later Messengers? Remember this: the Ascended Masters of the Great White Brotherhood (the Brotherhood and Sisterhood of Light) are wholly Divine. 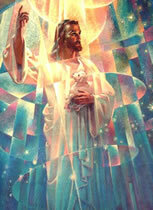 They are wholly LOVE - the very Expression of the Being and Nature of God Almighty. Having opened the Door to the Wisdom Teachings of the Ascended Master Octave (formerly only taught to Initiates in the Retreats of the Ascended Masters), and then stopping all outer contact through public Dictations and Addresses to the mankind of Earth upon the Ascensions of Guy and Edna Ballard would not make any sense! This would be implausible and irrational from the understanding of the outer mind, and illogical and contrary to the Wisdom of the Divine Mind of the Higher Mental Body! 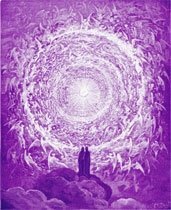 This would be contrary to the LOVE of our Beloved Ascended Master Saint Germain and the Ascended Host for humanity, and contrary to the necessity for ongoing Divine Direction in order for the Dawning Golden Age to come into external manifestation in the physical octave of Earth in this 21st century. Question - I have heard that ________ claims to be a Messenger delivering Dications from Ascended Masters with the same names as those that spoke through Guy Ballard in the 1930s. Could this be authentic? 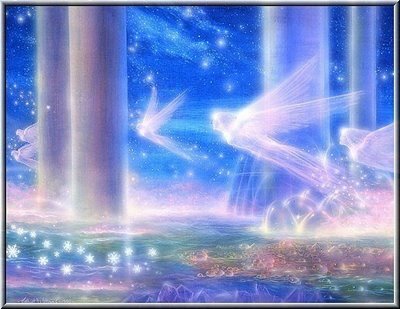 Question - I read somewhere that there were times over the last century when there were more than one set of authentic Messengers in more than one authentic Ascended Master Activity. Could this be happening again at this time?
" . . . We understand that for certain of these creative endeavors, more than one are given a piece of music to write, a picture to draw or paint, a poem to write, but when We convey Cosmic Law, We are more particular as to who is taking that Dictation from Our Consciousness. For as you can see, there are many vehicles that must translate from the Highest Dimension of Ascended Master Octaves to convey it to the mankind of Earth. "So We train. We tutor. We refine and Fire with Our Consciousness, Our Momentums, for many lifetimes, so that when We send forth Our Representative to speak on Our behalf it is a lifestream that can be trusted. We do not use multiple teachers of Cosmic Law to deliver our Dictations in any given era, save in the passing of the Torch from one to another. And the reason for this, is so that when there is the Word that has the Vibration and Consciousness of the Ascended One, it is True, it is Pure, it is Holy. When Our Twin Flame Messengers step forth, they know well the responsibility. They each hold a Pillar of the Temple, so that the canopy that stretches far and wide across the Earth to encompass the Word as it goes forth, will telegraph the Tone, the Vibration, the Consciousness of the Ascended Octaves. This is the marked difference between those who merely teach the Word, and those who are Dictating the Word. 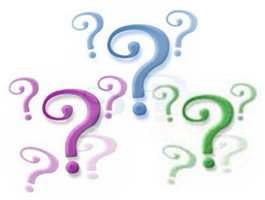 Question - What do you consider some obvious "red flags" that give one reason to question the validity of someone's claims of being a "messenger" or "amenuensis" of the Ascended Masters? "Through the ages, blessed children, the creation of thought forms and the energizing of those forms by feeling, as well as the action that follows through the flesh, has built an etheric consciousness. The 'soul' is the accumulated consciousness resulting from your experimental use of life, action and reaction. The tendencies, habits and nature of your 'soul' are determined by the ways in which you have used life through the centuries and what life has returned to you, age after age. "Your 'soul' endures in embodiment and between embodiment. Your 'soul' will continue to live until it is transmuted by the Flame in your Heart and there is no longer this shadow self that thinks and feels apart from the Christ. Your 'soul' lives through every personality (embodiment) that you use. Today you have a name, you were born into a family, you live - if fortunate - approximately threescore and ten years and then you 'pass away' as a personality. That personality is no more, but the 'soul' of you, in the etheric garment, influences each personality which you become in each succeeding incarnation. If you were to look at an unbroken stream of one hundred of your Earth lives, you would find that the 'soul' was more or less the same through each personality. Question - I heard that Lotus stated, in a Dictation after Her Ascension, that she approved of other Messengers continuing the work that She and Godfre began in the 1930s. Is that true?
" . . . Some of you here knew Me in My last embodiment and you called Me 'Mama'. . . I AM Lotus, and I enfold you in the Fragrance of My Love for Freedom and for the Will of God. . . I speak now directly to those students who were with Me in The 'I AM' Activity. And I say to you, regardless of all evidence to the contrary or of anything which might have passed from My Lips while I was in embodiment, . . . I understand from Ascended Levels of Consciousness the nature of the ongoingness of Hierarchy. And although there are only Two Messengers of the Brotherhood, the Two Messengers constitute the Office of the Two Witnesses spoken of in the Book of Revelation. This, then, is a high and holy calling to which Twin Flames are ordained in every age. Thus as there is only One Christ, so there are many Manifestations of the Office of the Christ; and as there are Offices in Hierarchy, so the Opportunity to Serve in those Offices is given to Ascended and unascended Sons and Daughters of God as they evolve in the Hierarchical scheme of the Great White Brotherhood. Question - Even if some organization that claims to be presenting direct Instruction from Ascended Masters is not 100% accurate, what is wrong with that? A little bit of the Truth of the Teachings presented to the general public is better than none! Don't you agree? Answer - I absolutely disagree! This reminds me of my experience with Ray Stanford's work in the early 1970s. Many considered him to be the "new Edgar Cayce" since he gave "readings" in a similar fashion. One series of his "readings" were the result of questions that had been posed on the subject of the Fatima apparitions of Mary the Mother of Jesus, and had later been published in book form as Fatima Prophecy. I was impressed with the inspirational insights in these "readings", as well as various other ones that were later published in his organization's journal. Yet only a couple years went by before some of the "readings" began to be described as being from "Brothers" - including Kuthumi. 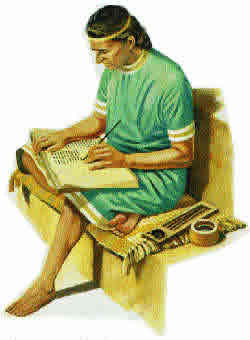 The shocker was that this counterfeit "Kuthumi" stated that giving affirmations and decrees vocally was a waste of time! He stated that only silent meditation was effective for individual spiritual development or for world service! So much for mixing Truth and error!